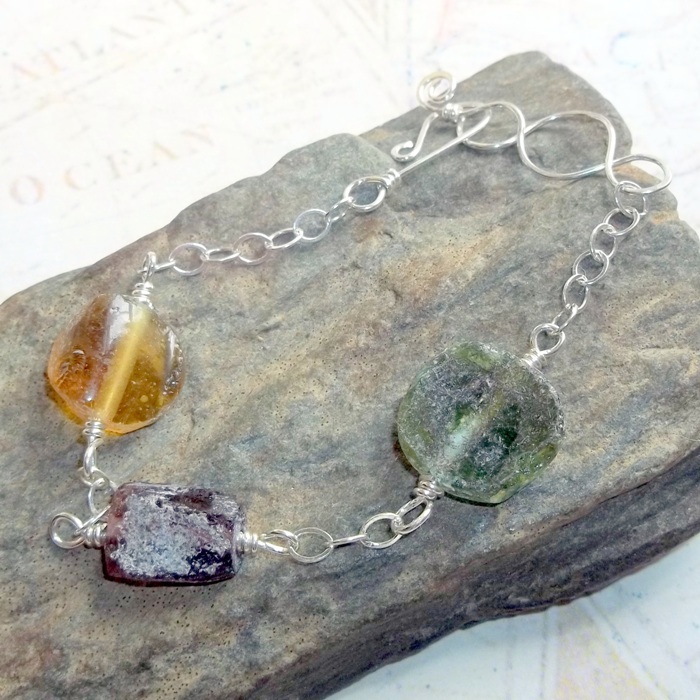 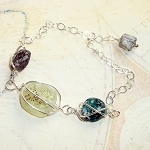 Three ancient Roman glass pieces wrapped into a handcrafted sterling silver bracelet with an artisan clasp. 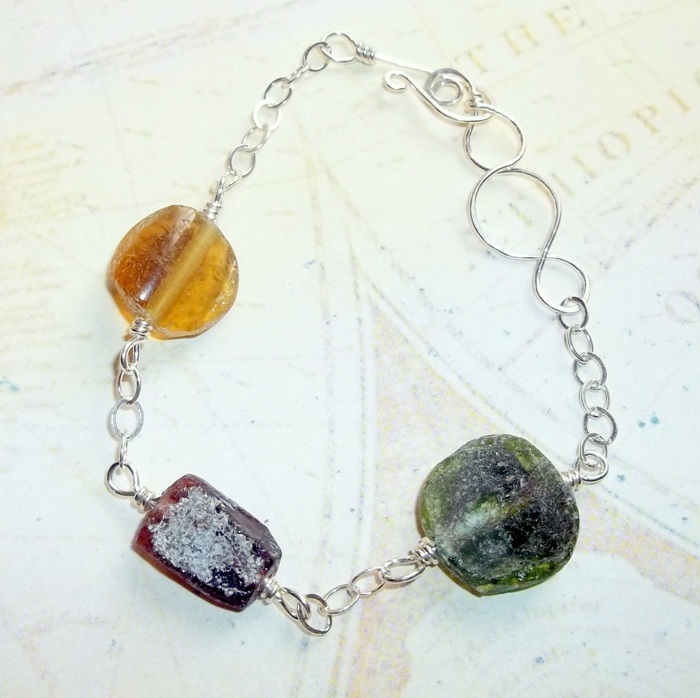 Roman glass pieces are three different colors, an evergreen, a ruby red, and an amber yellow. 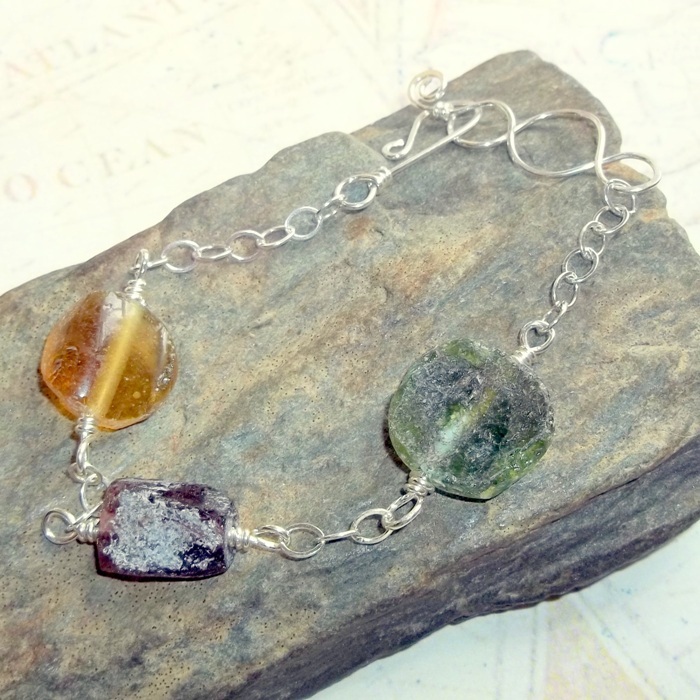 Each is incredibly unique with natural curves and sand etched into the glass. 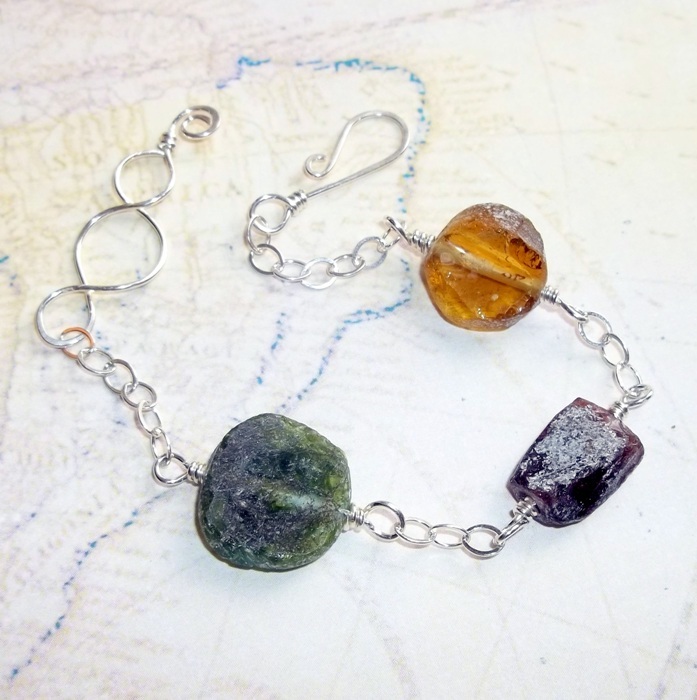 Bracelet is adjustable from 6 3/4 to 7 3/4 inches and will fit a wrist with a string measurement up to 8 inches.